Huber, a local Kitzbühel butcher, is responsible for providing those working at the Hahnenkamm Press Centre with meals all through Race Week. The catering team gets to work at six o’clock in the morning, setting up a delicious buffet. In addition to an extensive breakfast, lunch and small snacks are served throughout the afternoon. Up to 700 mouths are fed each day. 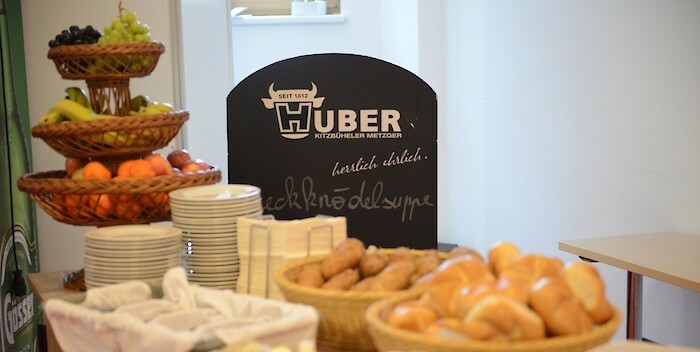 “Proper organisation is extremely important”, says Huber Metzger’s team.